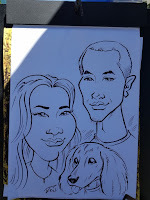 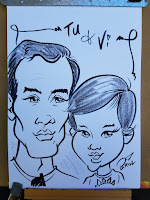 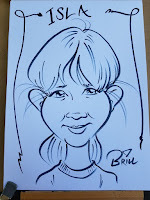 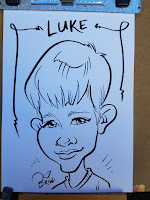 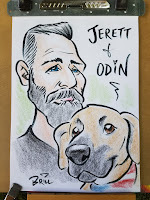 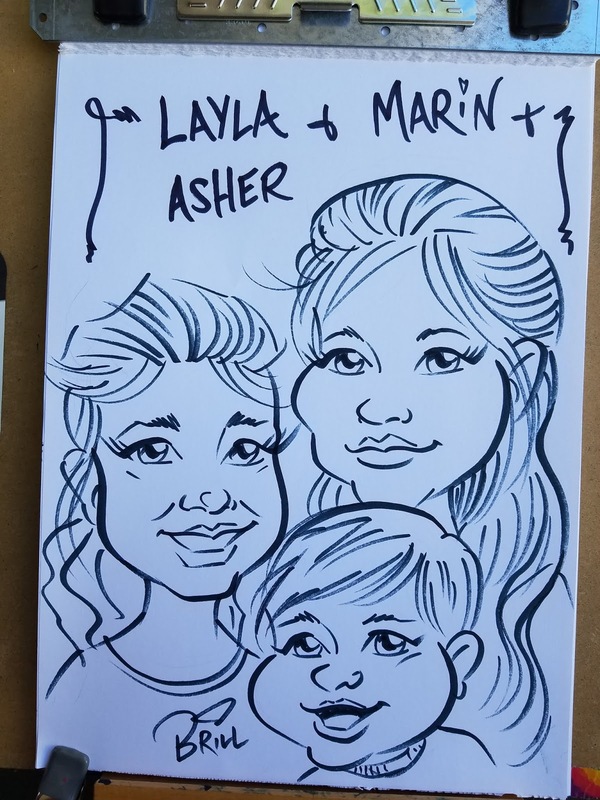 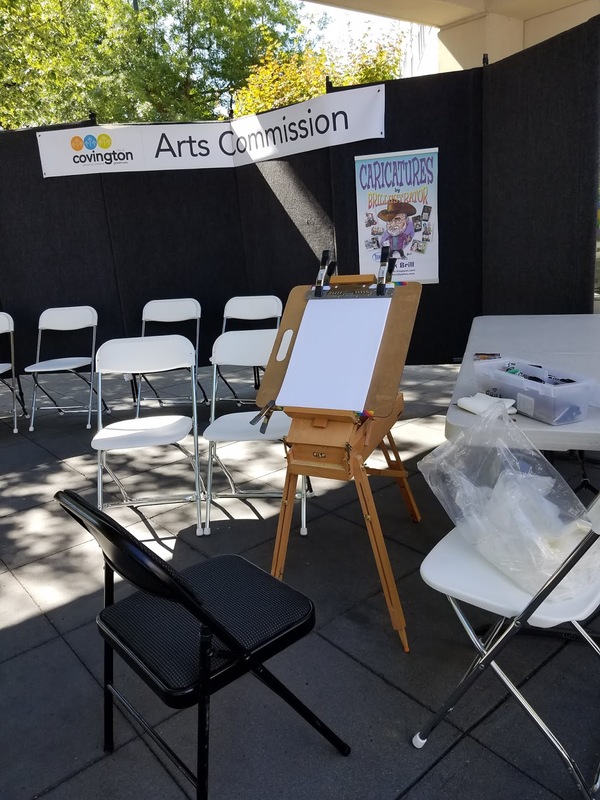 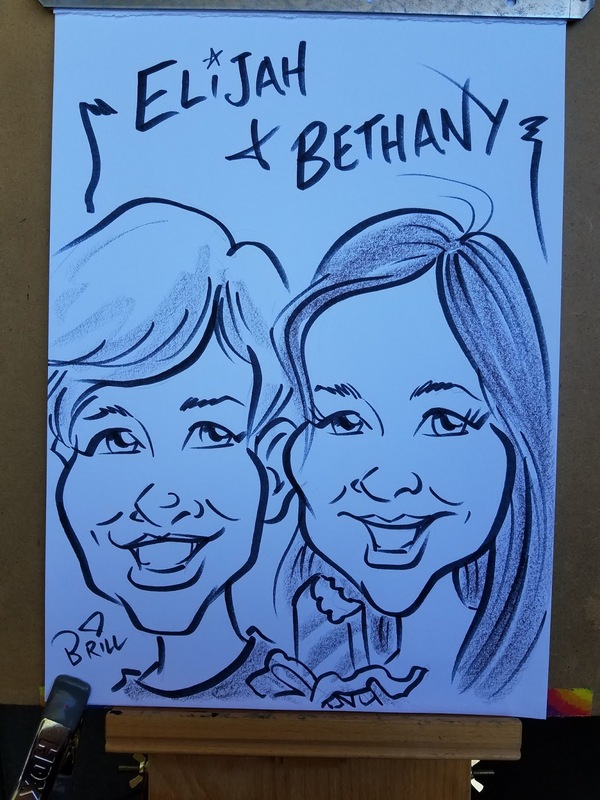 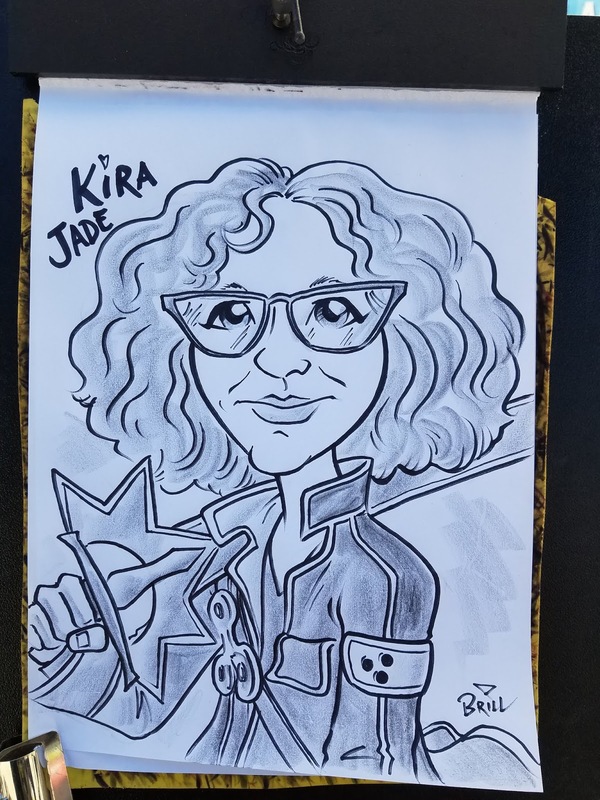 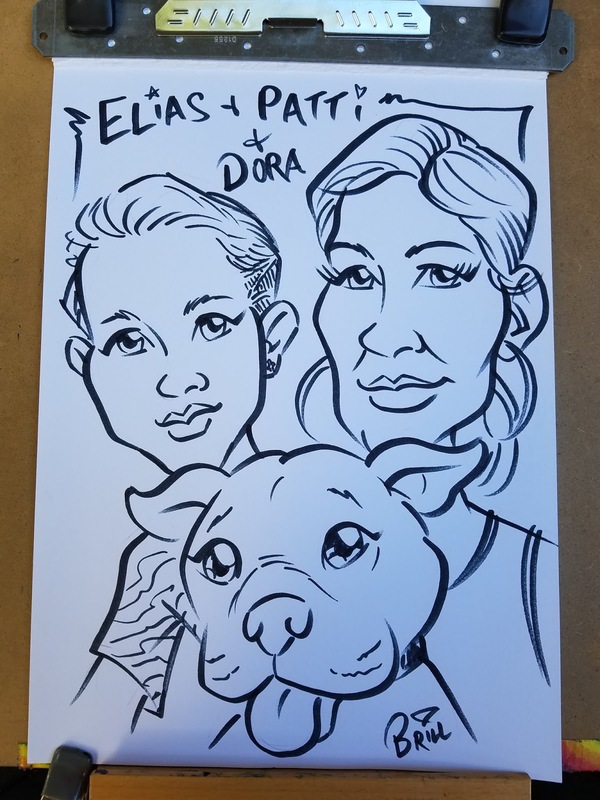 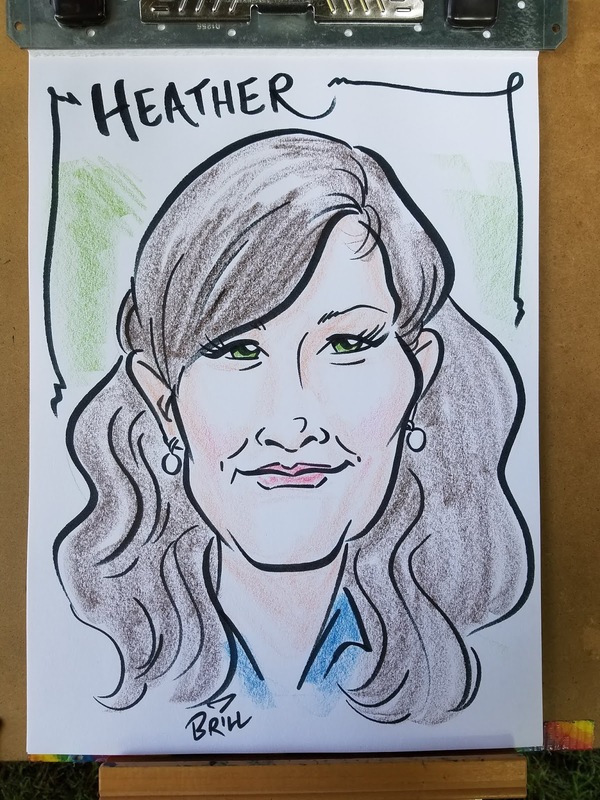 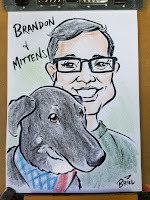 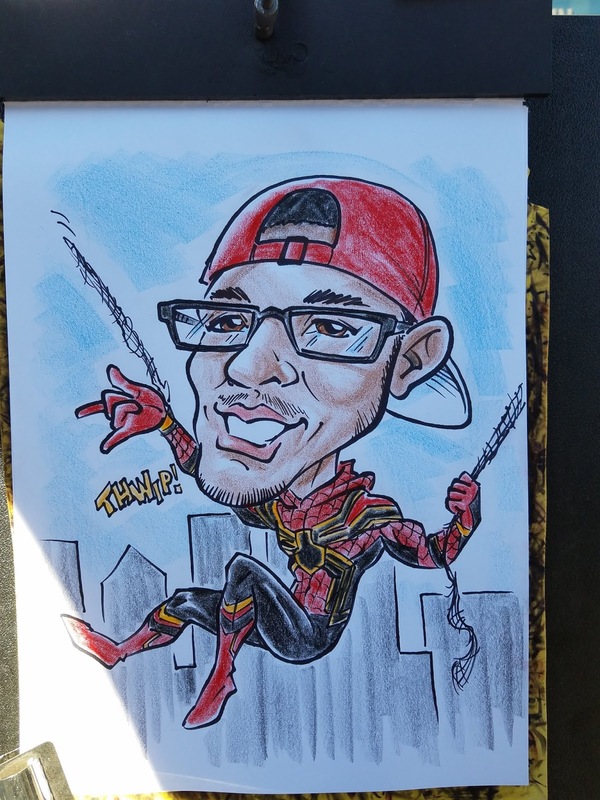 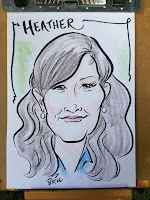 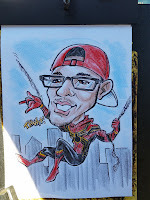 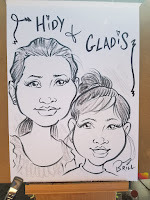 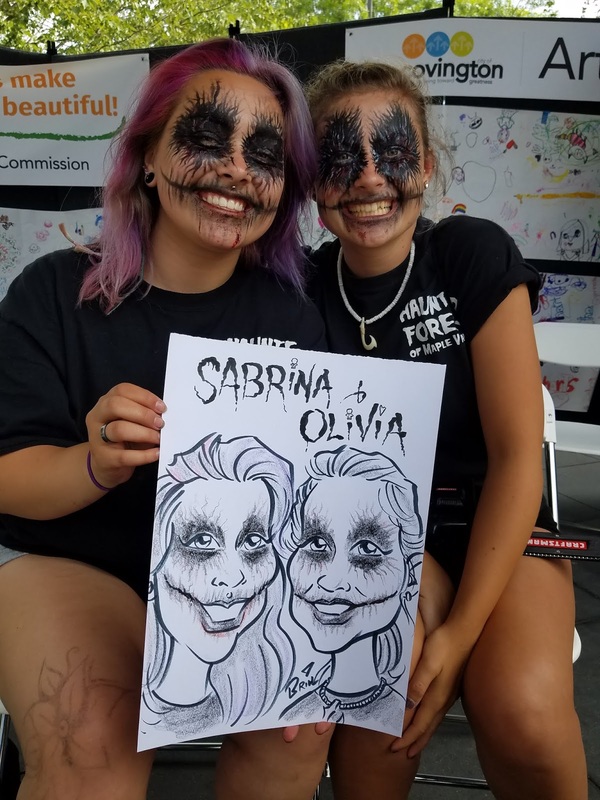 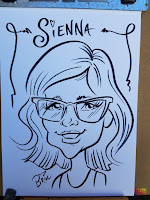 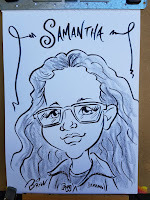 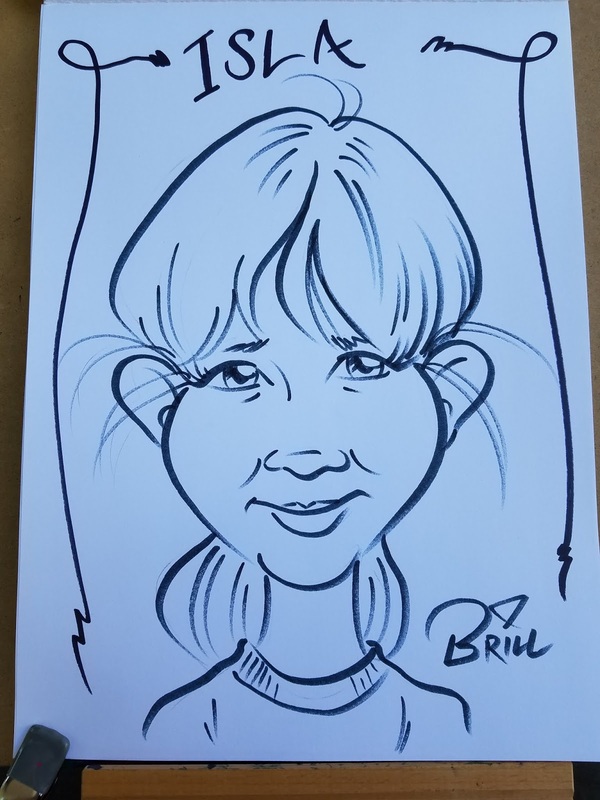 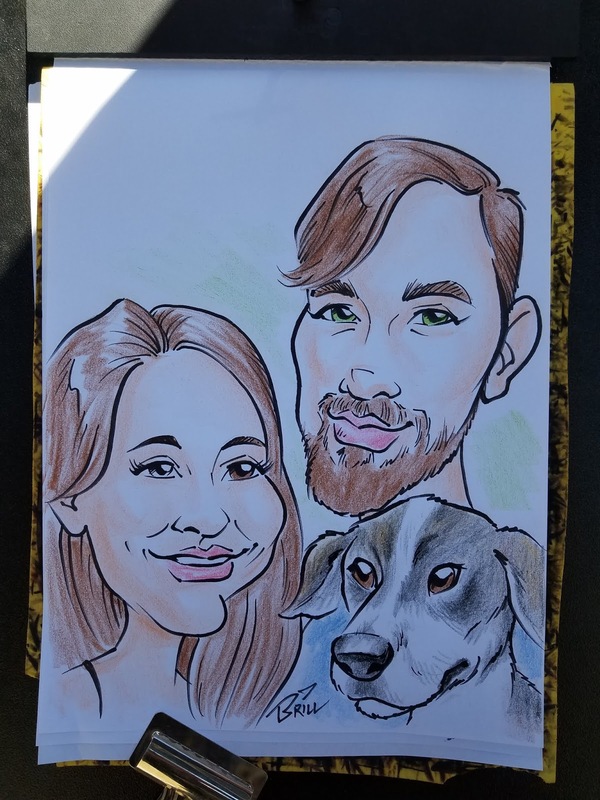 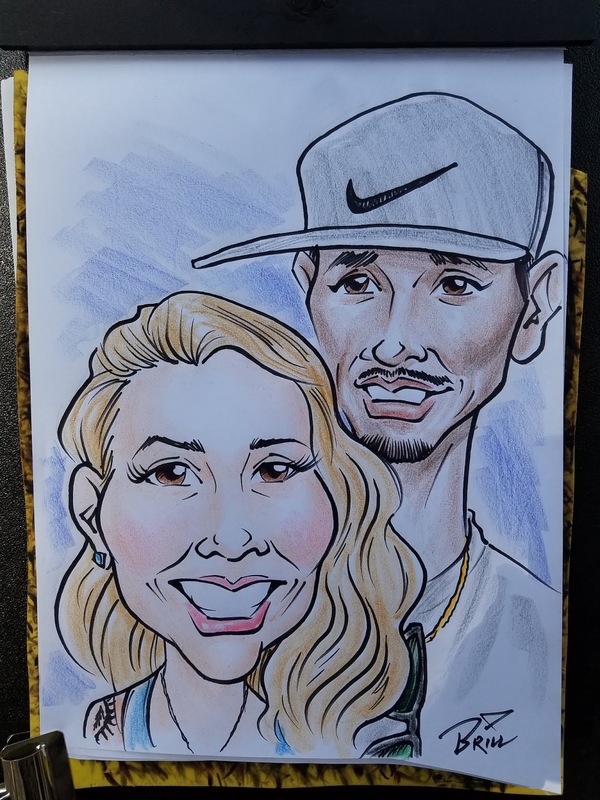 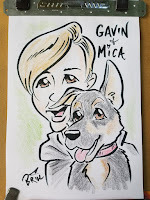 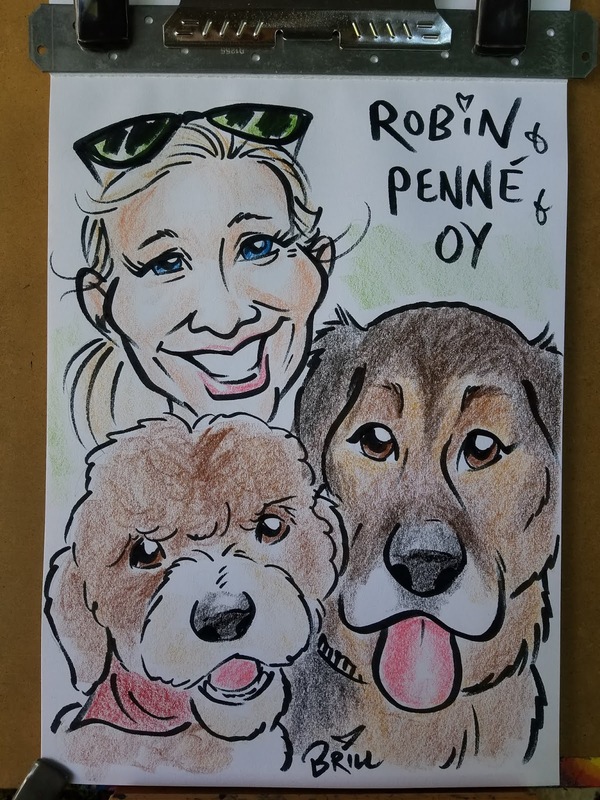 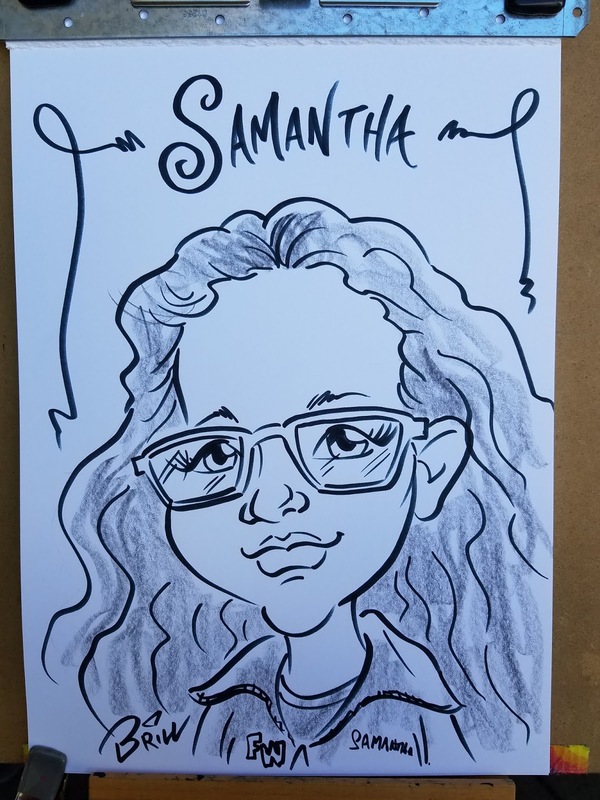 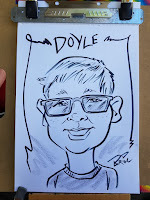 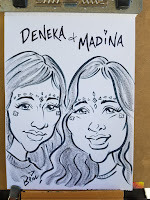 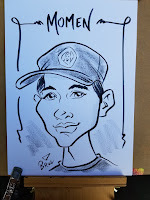 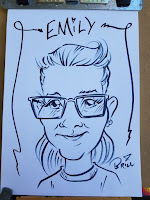 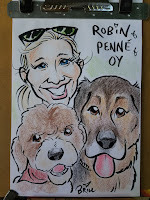 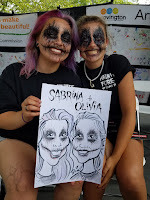 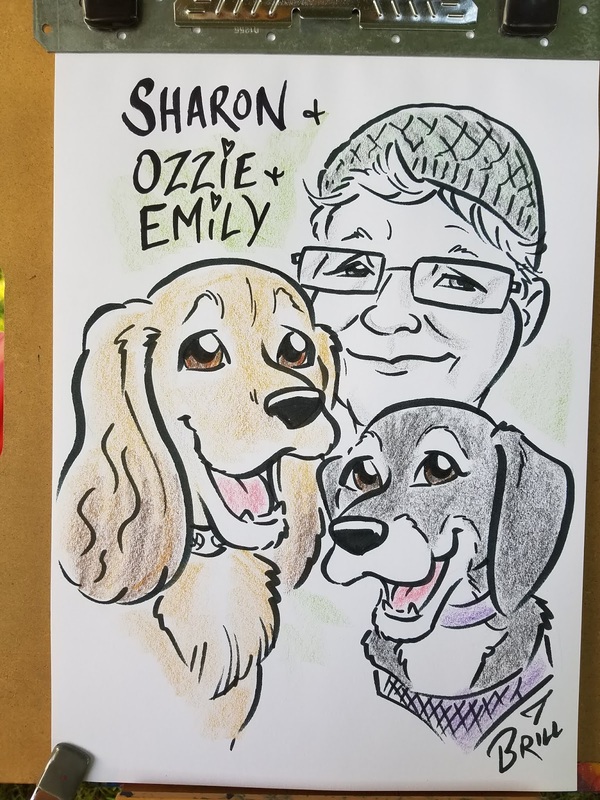 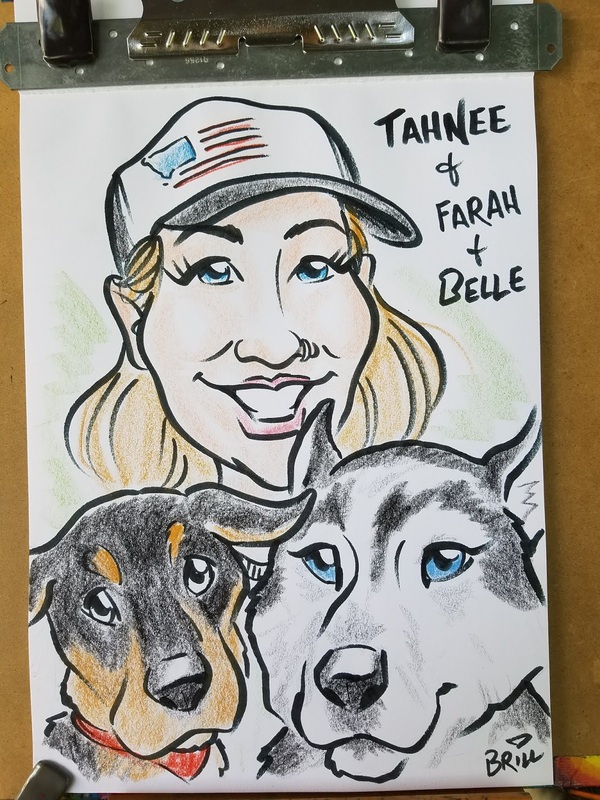 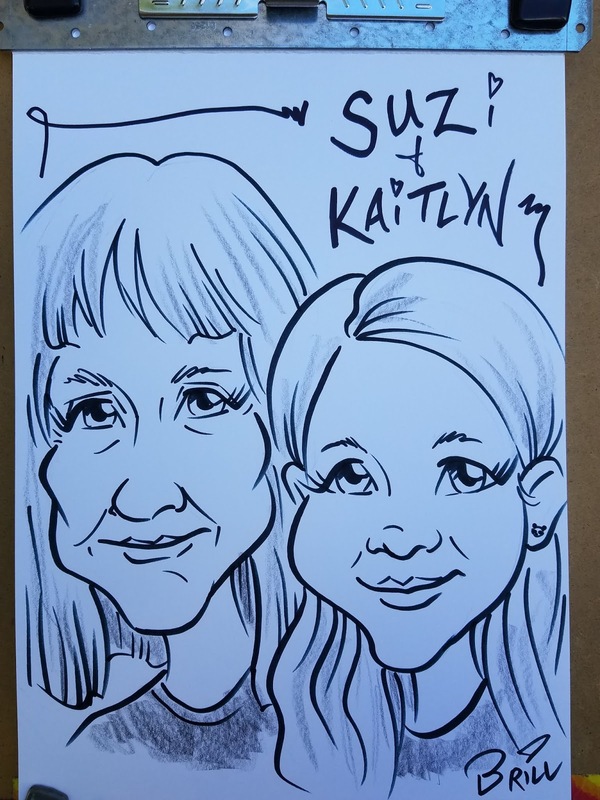 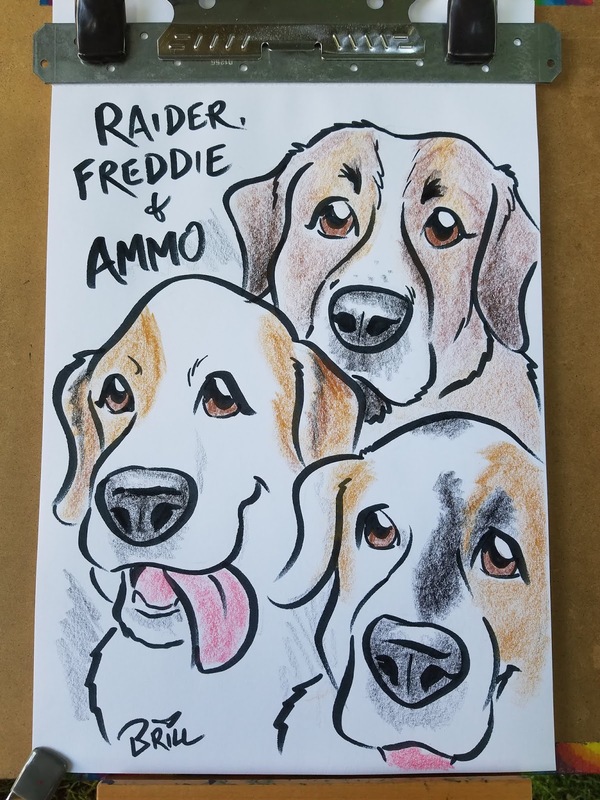 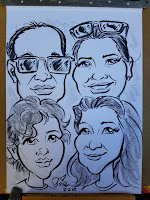 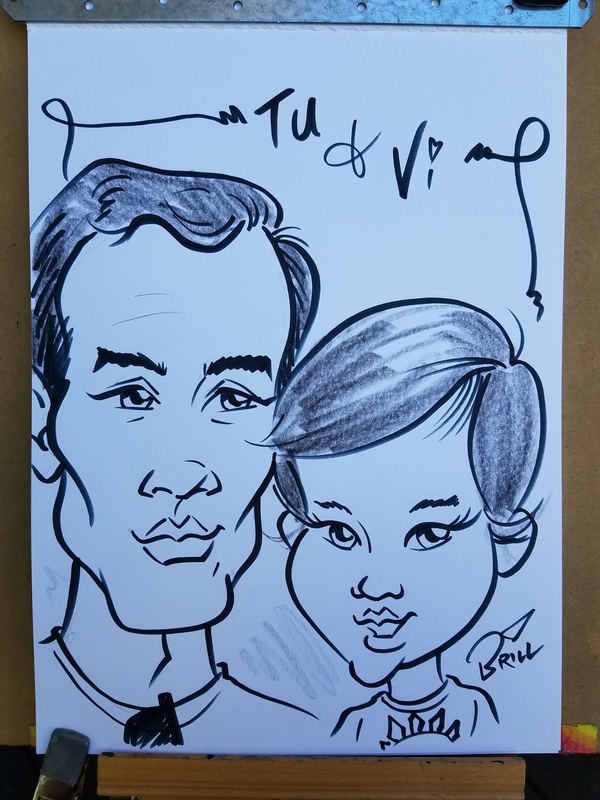 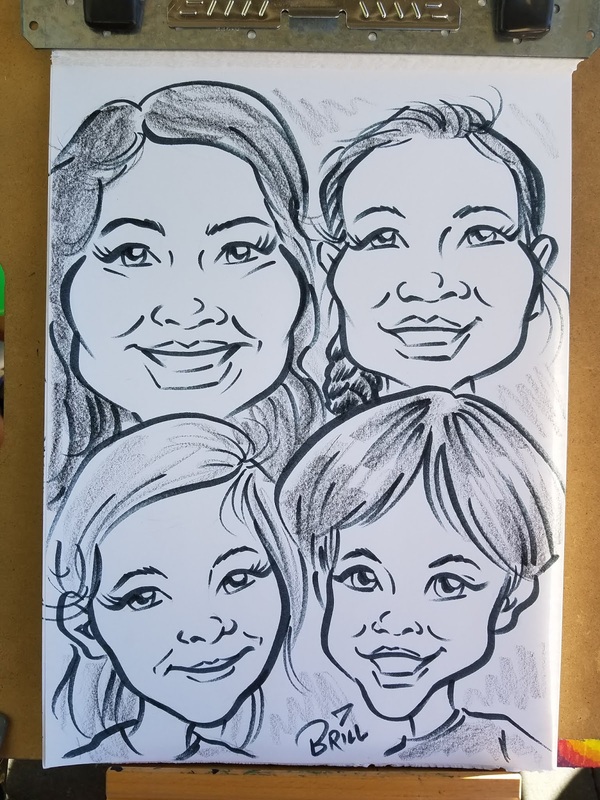 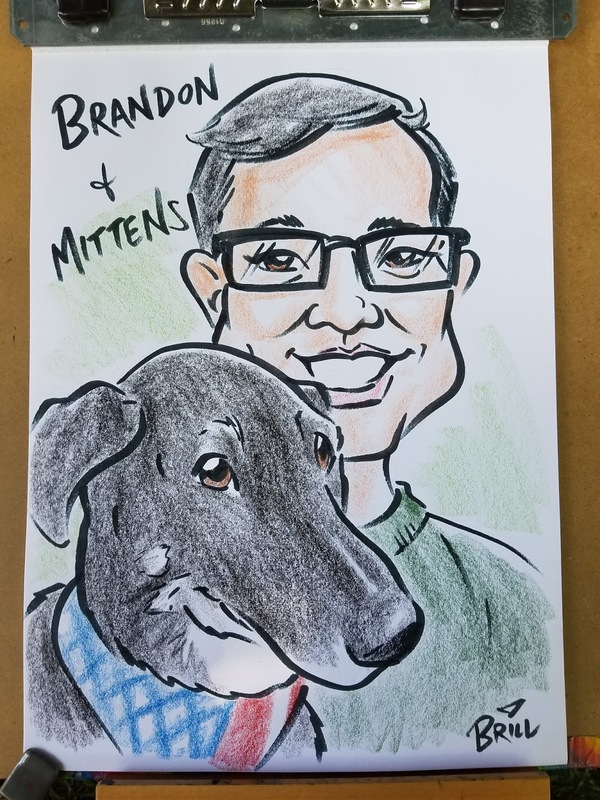 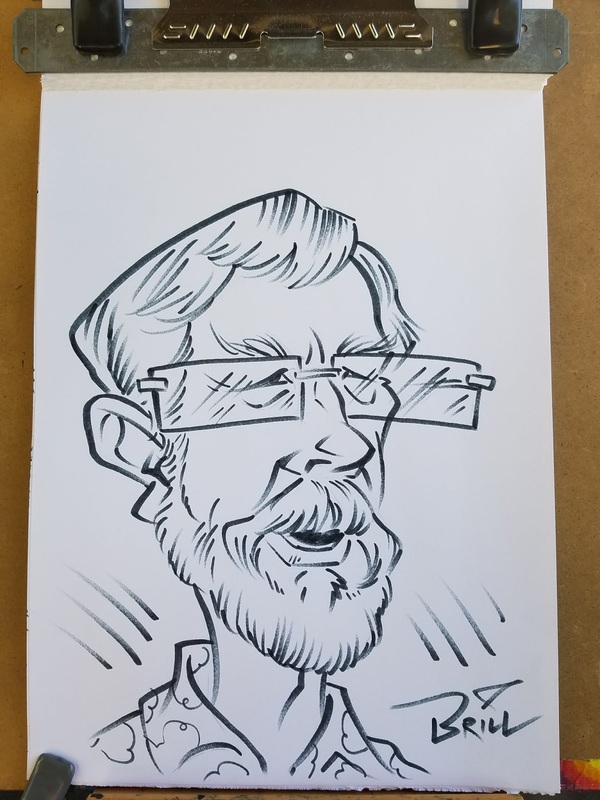 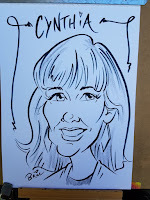 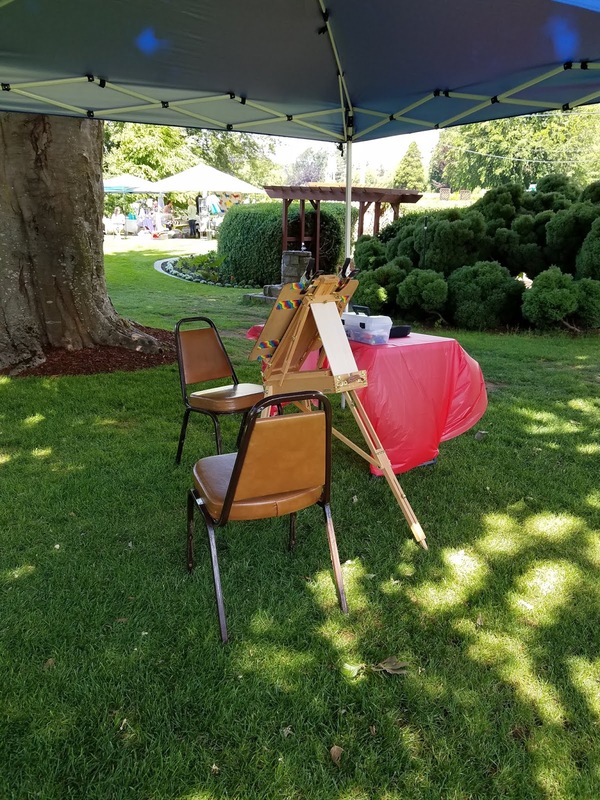 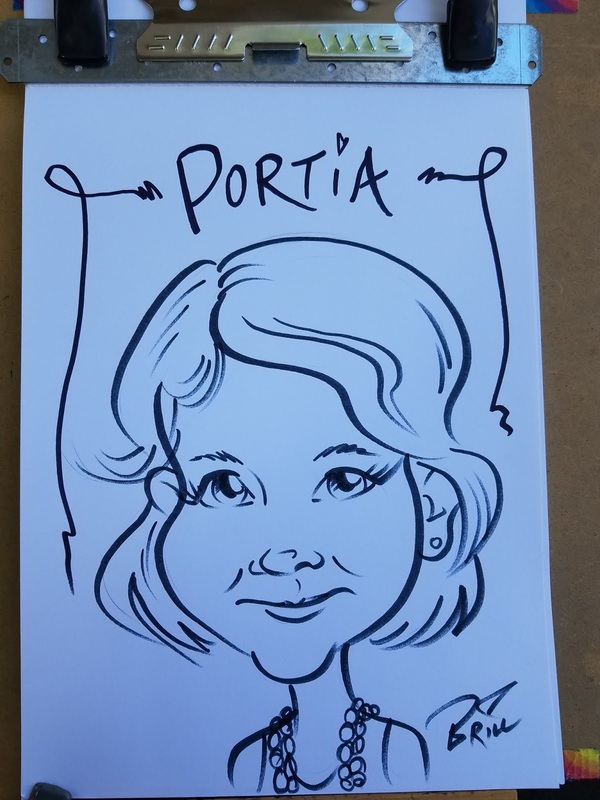 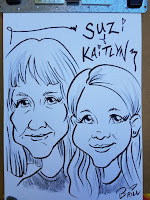 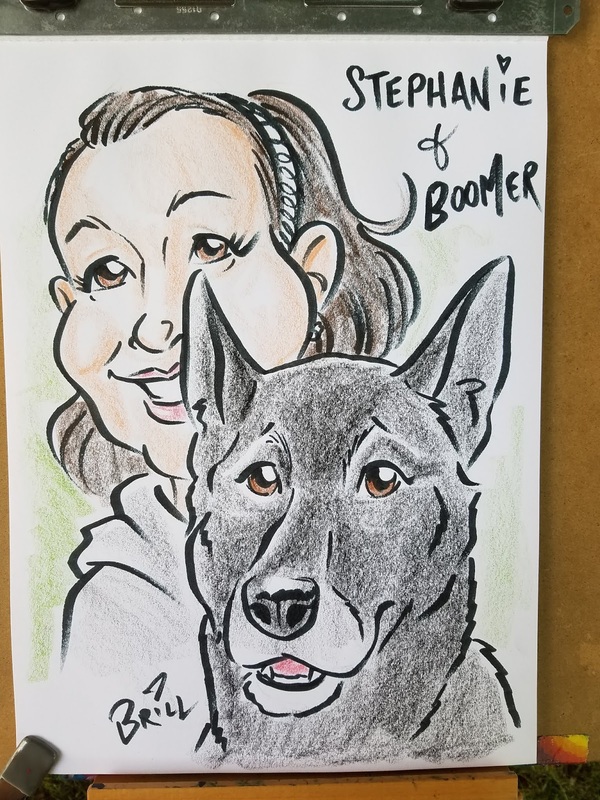 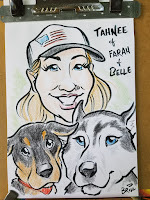 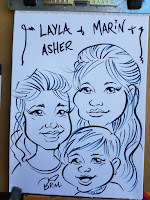 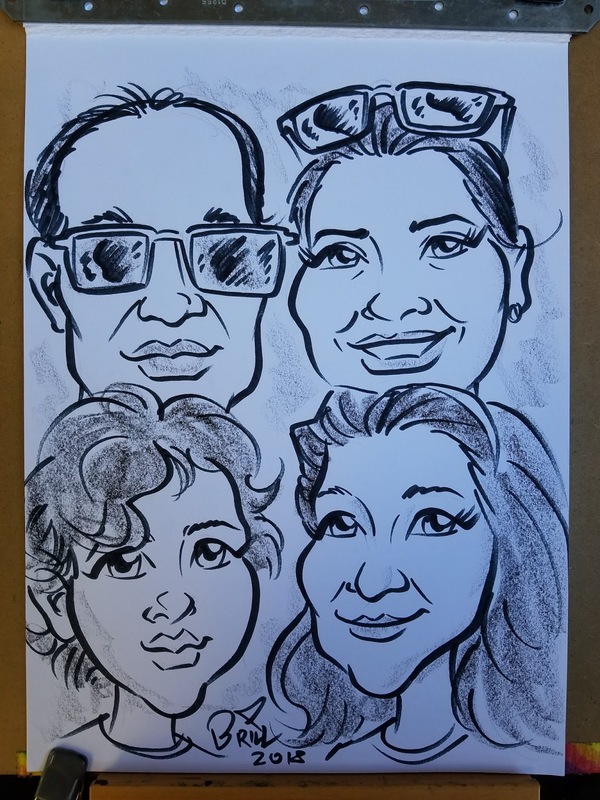 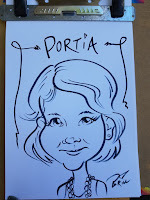 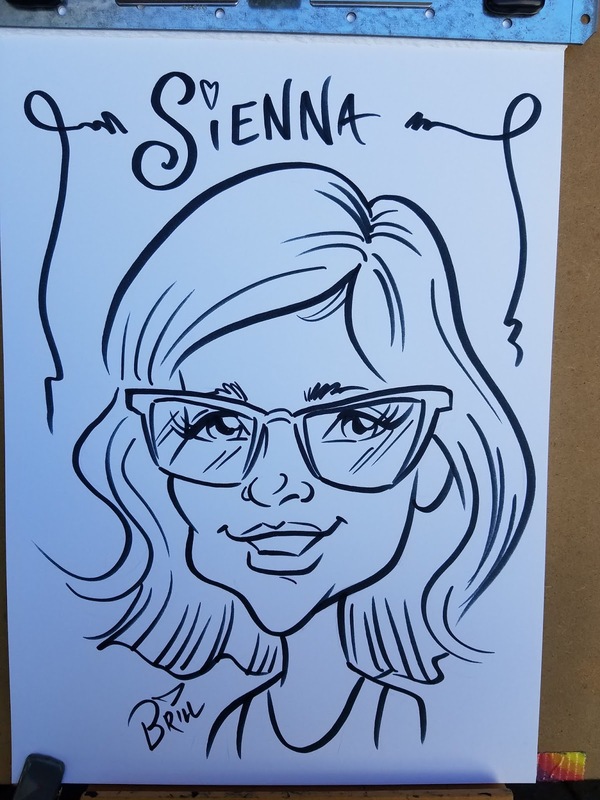 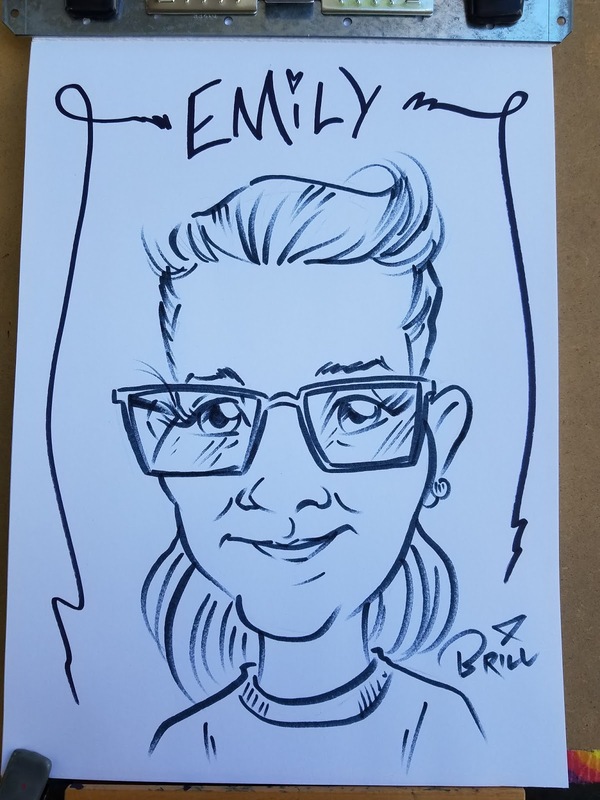 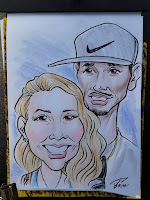 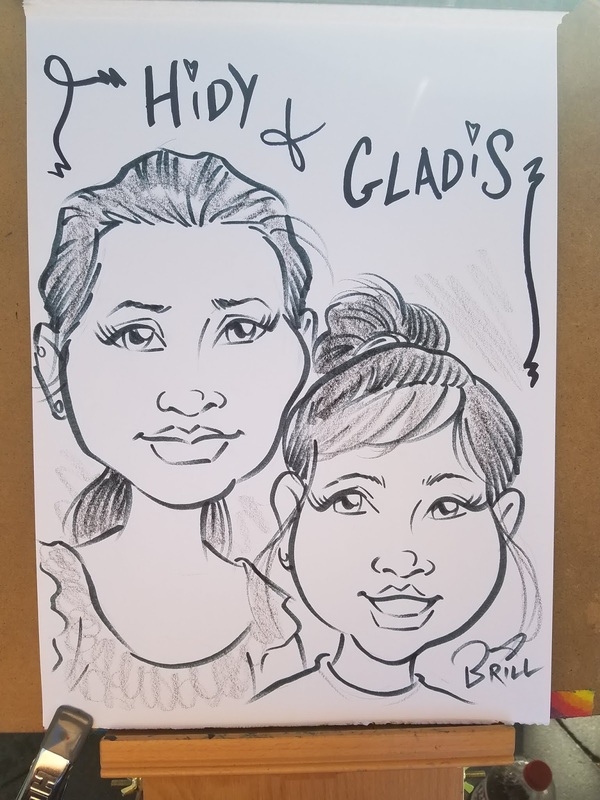 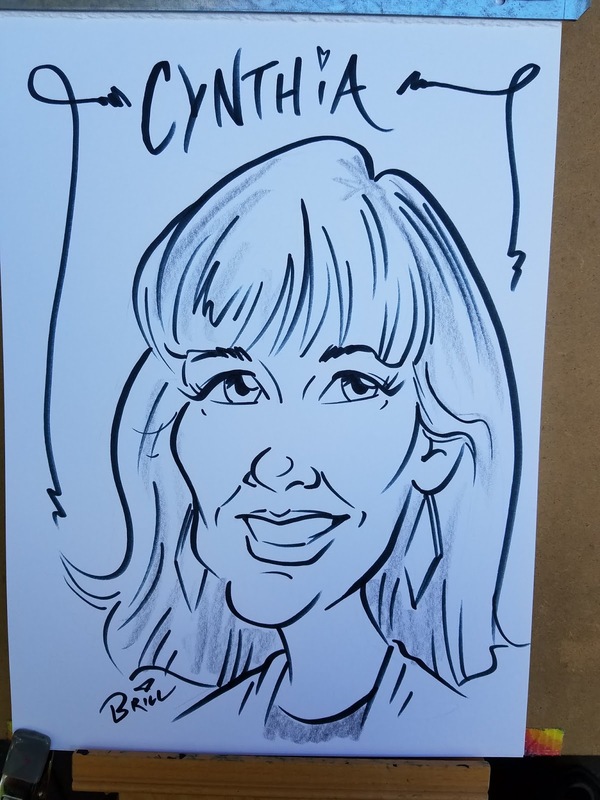 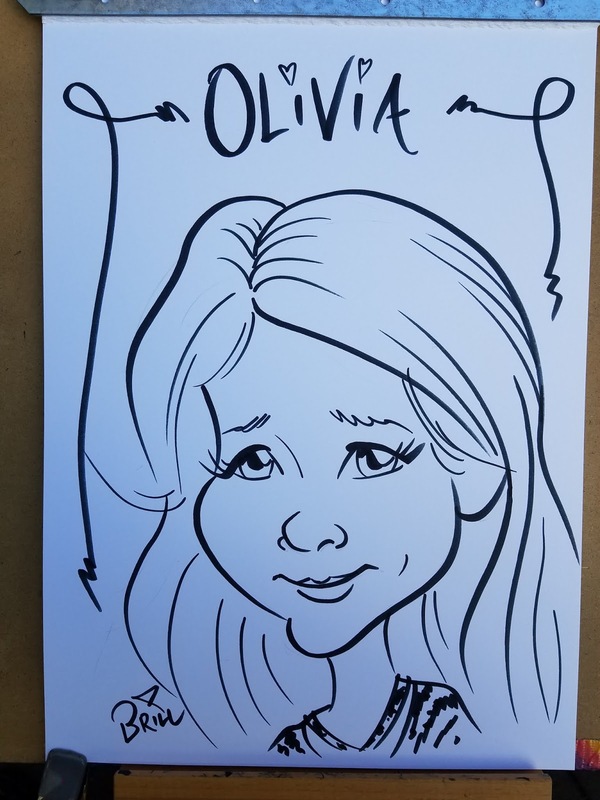 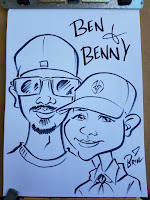 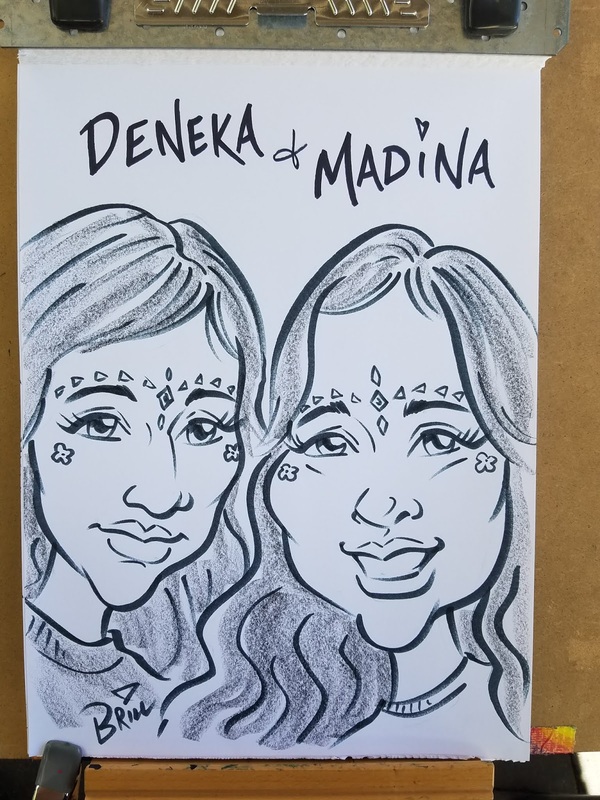 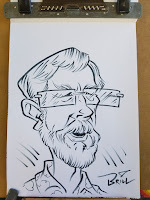 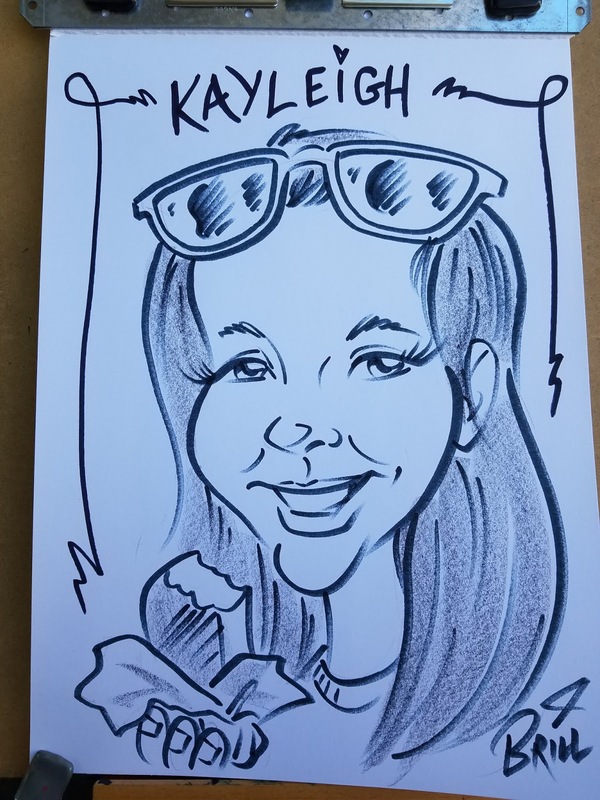 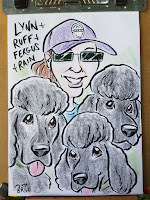 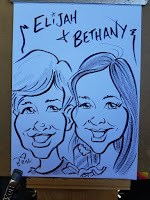 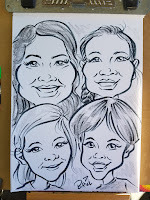 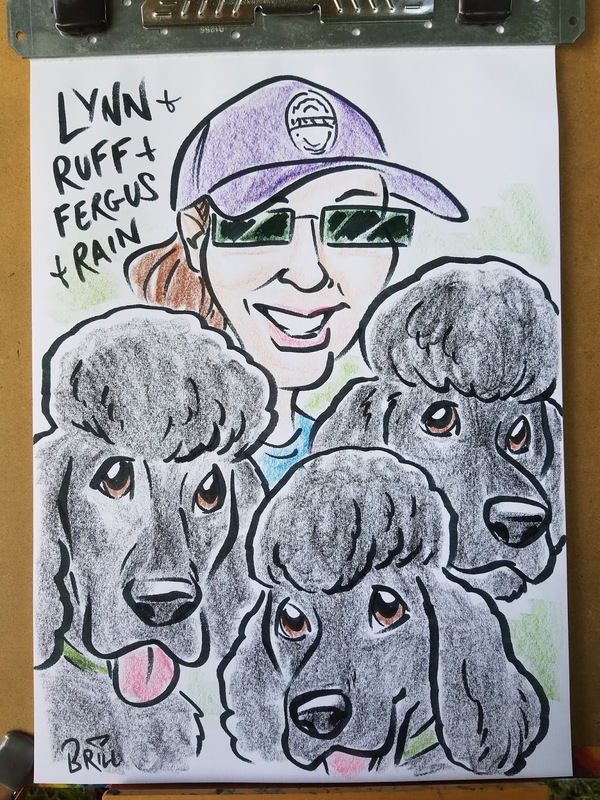 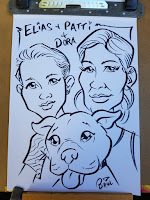 THE BRILLUSTRATOR: Summer Caricature Events! 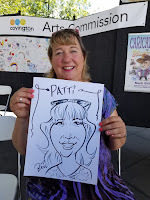 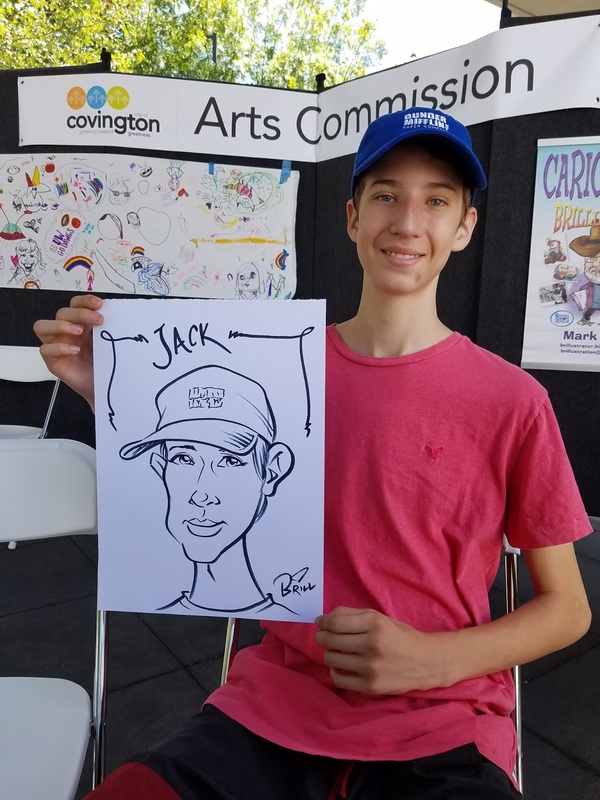 This past weekend I did an outdoor festival called Covington Days, working for the Covington Arts Commission. It was a lot of fun and very busy! 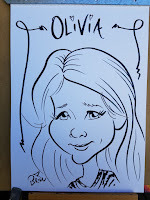 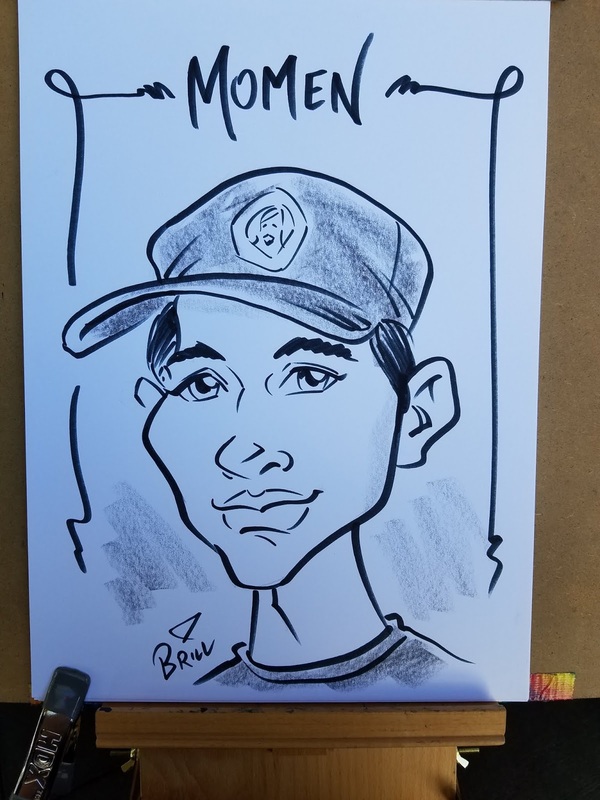 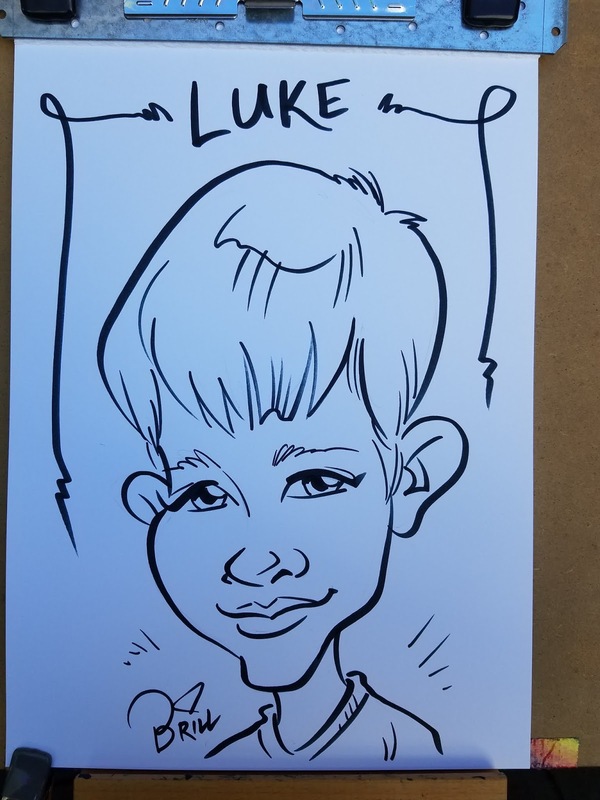 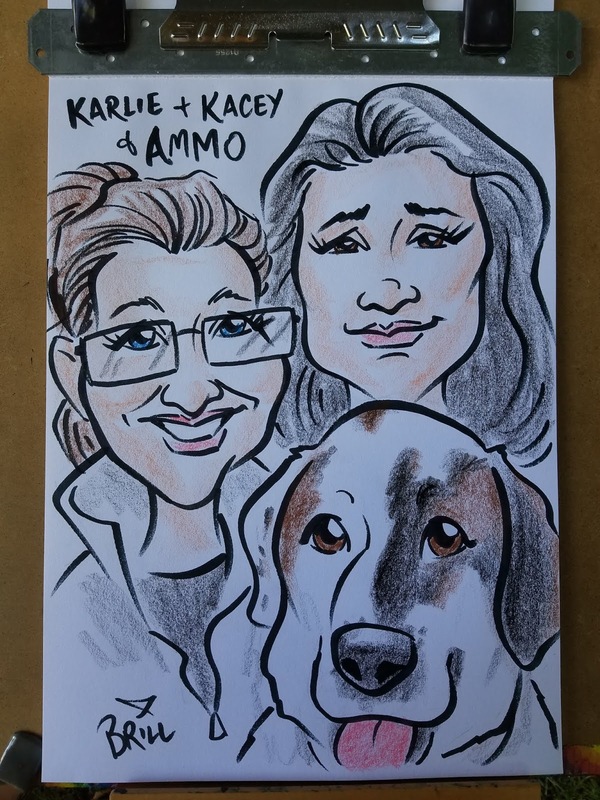 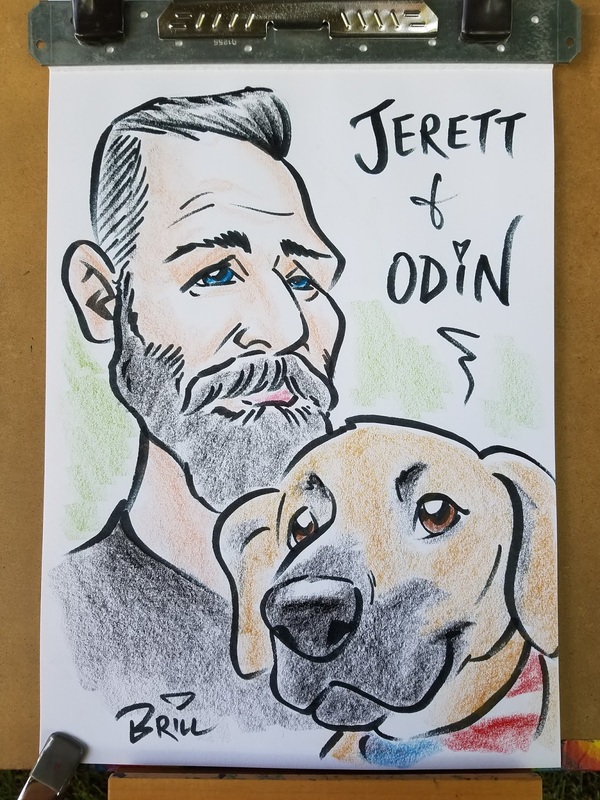 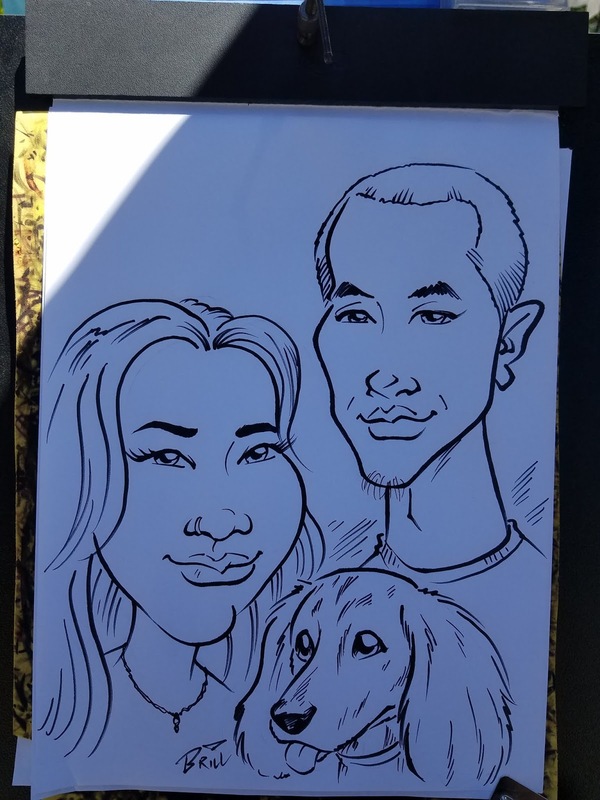 I ended up doing over 127 caricatures over the two day event! 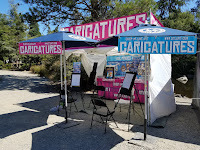 Before that, I had done a couple of other outdoor events that I worked, so I thought I should show a few pieces from each one to keep my little blog here up to date! 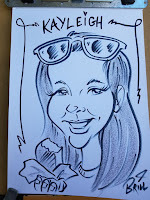 One was the Taste of Tacome, a fairly huge outdoor festival right in my neighborhood...well, near it anyway. 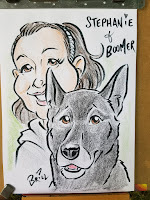 The other was in Blaine--QUITE a long drive from Tacoma since it's basically on the Candian border! 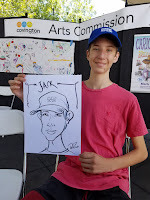 My navigation software started using "meters", but it was still using feet. 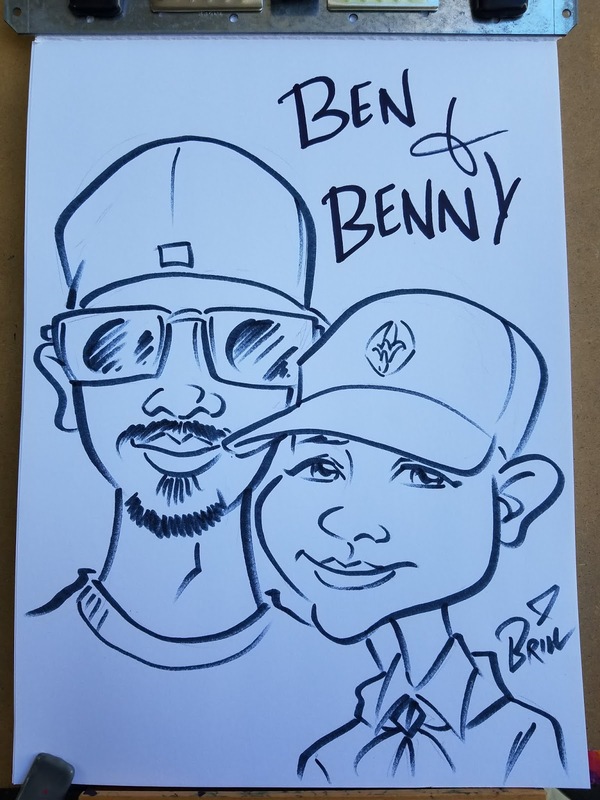 So it would say something was 100 meter away, when really it was only 100 feet away. 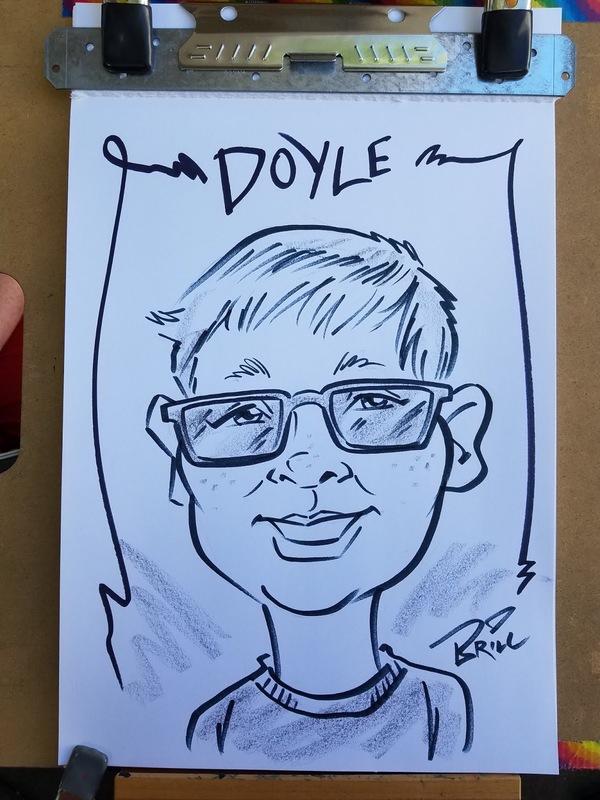 That wasn't confusing at all... 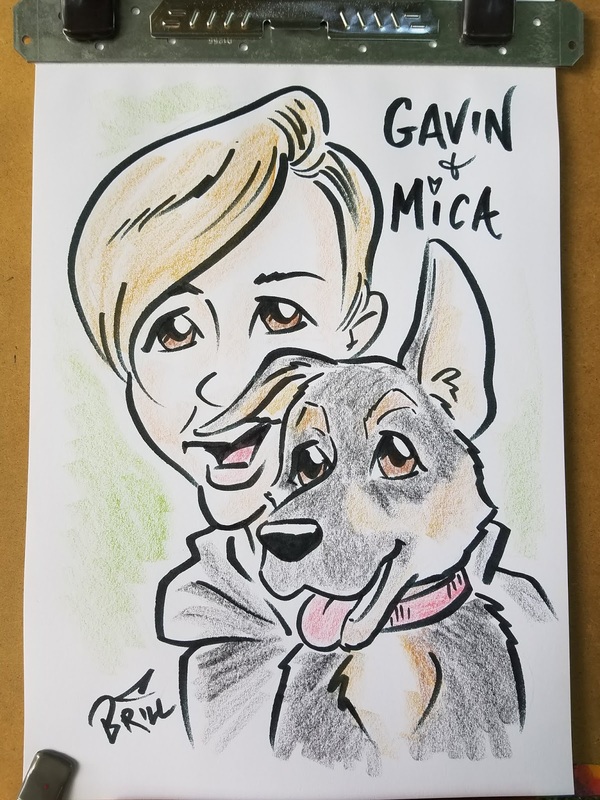 Anyway, it was a great event because it was for the Puppy Rescue Mission, uniting soldiers with dogs saved from the war-torn areas of the world where they had been abandoned. 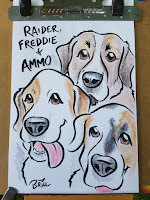 So, drew lotsa dogs! 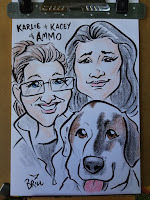 Anyway, here are some samples!